Swedish Lapland, 1717. Maija, her husband Paavo and her daughters Frederika and Dorotea arrive from their native Finland, hoping to forget the traumas of their past and put down new roots in this harsh but beautiful land. Above them looms Blackåsen, a mountain whose foreboding presence looms over the valley and whose dark history seems to haunt the lives of those who live in its shadow. While herding the family’s goats on the mountain, Frederika happens upon the mutilated body of one of their neighbors, Eriksson. The death is dismissed as a wolf attack, but Maija feels certain that the wounds could only have been inflicted by another man. Compelled to investigate despite her neighbors’ strange disinterest in the death and the fate of Eriksson’s widow, Maija is drawn into the dark history of tragedies and betrayals that have taken place on Blackåsen. Young Frederika finds herself pulled towards the mountain as well, feeling something none of the adults around her seem to notice. 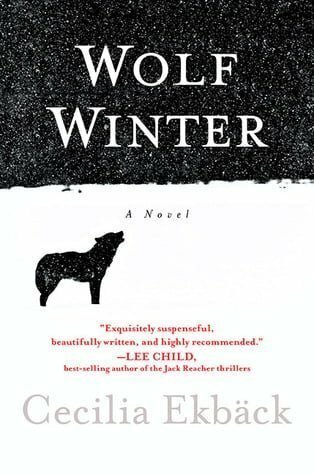 As the seasons change, and the “wolf winter,” the harshest winter in memory, descends upon the settlers, Paavo travels to find work, and Maija finds herself struggling for her family’s survival in this land of winter-long darkness. As the snow gathers, the settlers’ secrets are increasingly laid bare. Scarce resources and the never-ending darkness force them to come together, but Maija, not knowing who to trust and who may betray her, is determined to find the answers for herself. Soon, Maija discovers the true cost of survival under the mountain, and what it will take to make it to spring. Cecilia Ekbäck was born in Sweden in a small northern town. Her parents come from Lapland. After university she specialised in marketing. Over twenty years her work for a multinational took her to Russia, Germany, France, Portugal, the Middle East and the UK. In 2010, she finished a Masters in Creative Writing at Royal Holloway. She now lives in Calgary with her husband and twin daughters, 'returning home' to the landscape and the characters of her childhood in her writing. 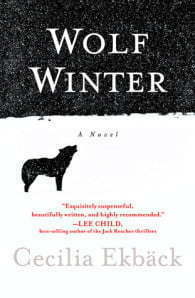 Wolf Winter is her first novel and she is at work on her second.